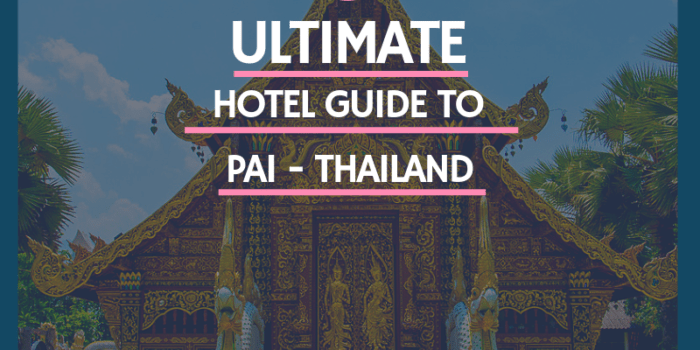 Budget Guide to Chiang Mai Thailand - What To See and Do! 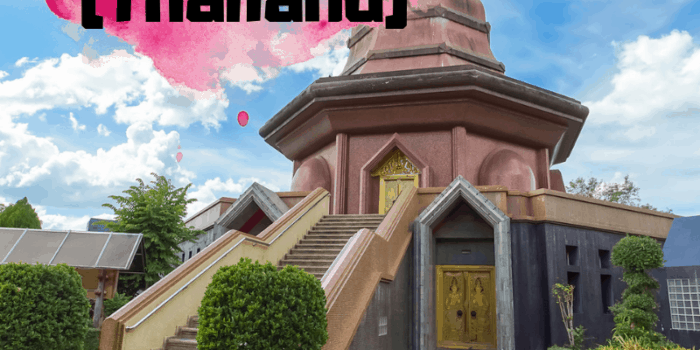 Budget Guide to Chiang Mai Thailand – What To See and Do! 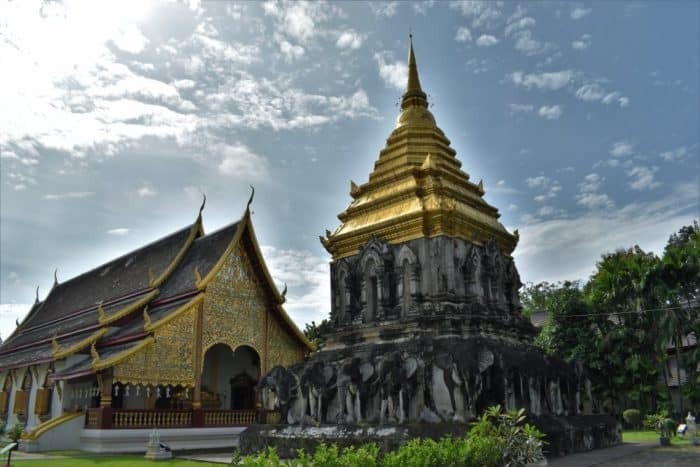 Thailand is one of the most popular destinations in the world and we are fortunate enough to live in one of Thailand’s most exciting cities, Chiang Mai. Although Chiang Mai is the second largest city in Thailand it retains a laidback small-town charm. 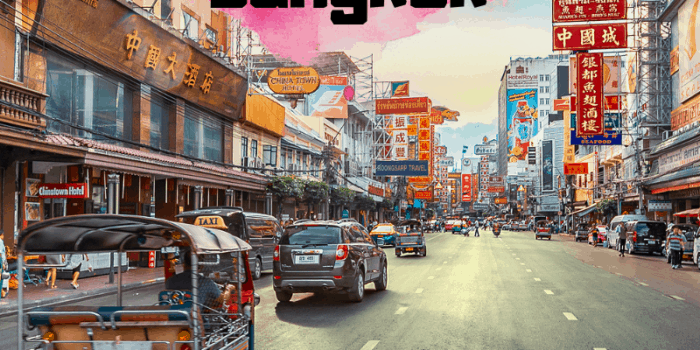 For those on a budget, choosing Chiang Mai for a holiday getaway is ideal, its far cheaper and you don’t get as bothered by the high-pressure hawkers of the tourist hotspots of Bangkok and Phuket. Chiang Mai is a city for walking and the first place to start is the Old City. The Old City is enclosed by a moat which can be entered by five gates the most famous being the Thaphae Gate, the main entrance since ancient times. For the best free entertainment walking around the Old City can’t be beat. Walking through the busy streets is a sensory overload as you dodge cars, motorbikes, Tuk Tuks and red buses called Songthaews, bright splashes of colour draw your eye as you pass traditional clothing shops and the smell of freshly cooked spices will tempt you into small roadside restaurants. 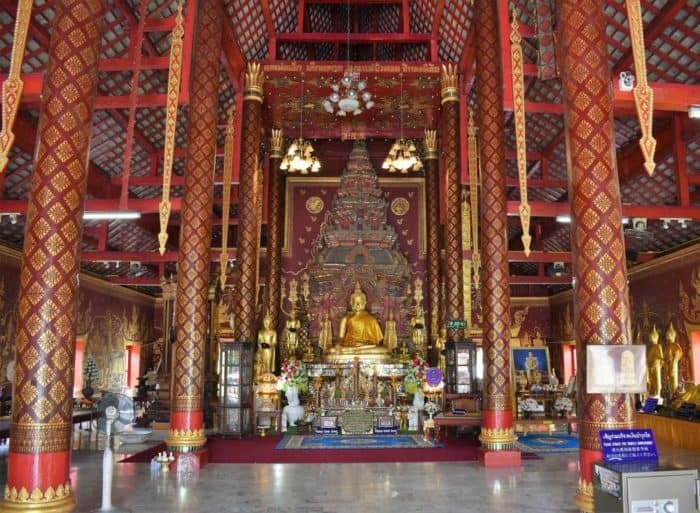 The Old City is home to many beautiful Buddhist temples called Wats, most are free to enter, a favourite is Wat Chiang Man, the oldest temple in Chiang Mai. Wat Chiang Man is located on Ratchapakhinai Road. Walking around the temple complex you will find tranquil gardens, the stunning golden spired Elephant Chedi and golden temples that shimmer as multi coloured mirrors catch the morning sun. The temples house the ancient Crystal Buddha and Golden Buddha. The interiors are breathtaking with colourful murals depicting the life of Buddha. The muted light of the temple shines down on the Gold Buddha making it glow. The Old City is famous for the Sunday Night Walking Street Market. The market starts in the afternoon and stretches out across the Old City. Street stalls sell a huge range of handicrafts, clothing, paintings, souvenirs and you can sample Northern Thai cuisine at the many stalls dotted around the market. Just make sure to get there early because it gets crowded. For a glimpse into local life head down to the south end of the moat to Chiang Mai Gate Market. 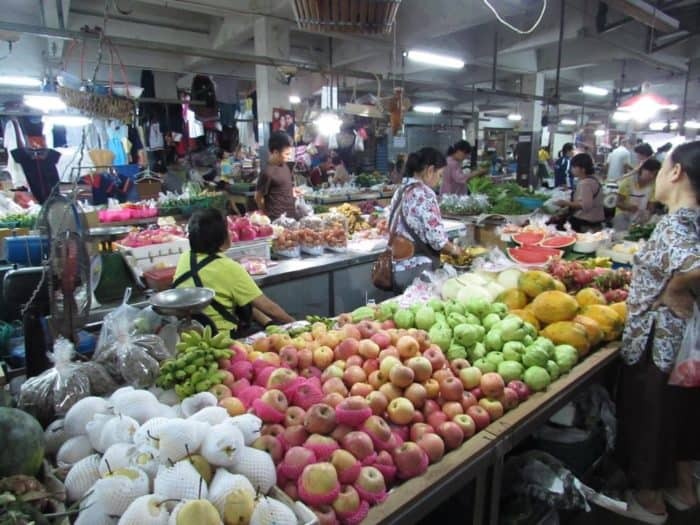 This food and wet market is the place to come for the cheapest and freshest homemade dishes, confectionary, and fresh fruit and vegetables. The market is at its busiest in the morning and the place to see monks on their breakfast round as they exchange food for blessings. Chiang Mai Gate has food stalls in the evening and the Saturday Night Walking Street Market is held in the surrounding streets on Saturday evenings. Other markets of interest just outside the Old City are Warorot Market, a local market selling an array of home wares, religious items, fabric, food, spices, fruit and vegetables. 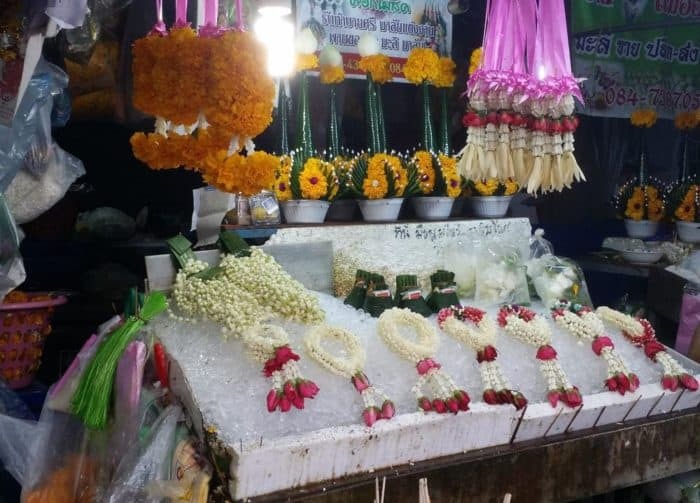 On the outer edge of Warorot Market is the flower market, traditional bouquets of intricately woven banana leaves, marigold and jasmine sit side by side with fresh roses and orchids that perfume the air with their fragrance. Warorot Market is surrounded by clothing shops that sell an exquisite range of ethnic Hill Tribe clothing and jewellery. 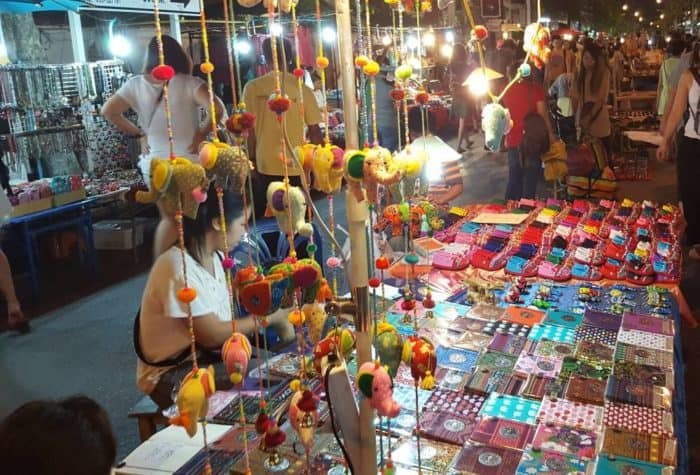 The Night Markets are held along Chiang Klan Road and stretch out to the larger Night Bazaar, Kalare Night Bazaar and Anusarn Night Markets. 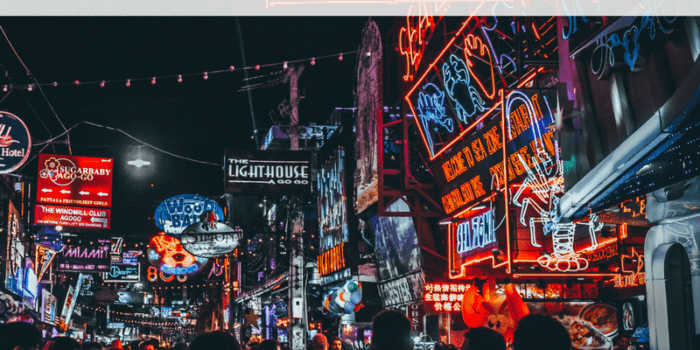 You will find cheap souvenirs, clothing, paintings, handicrafts as well as music venues, bars and restaurants to rock the night away. Leaving the busier streets of the Old City you will find yourself walking down peaceful lanes (Soi). These laneways are a filled with cheap guest houses and a treasure trove of small restaurants and bars, the place to come for a cheap meal and beer while soaking up the local atmosphere. You can hire a bike or motorbike from one of the hire shops or book an adventure tour at one of the many travel agents. 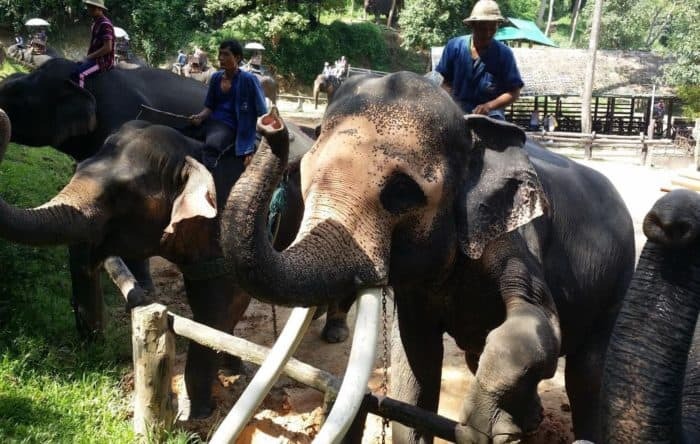 Chiang Mai is home to many elephant camps, you will be enthralled by the elephant shows and get to help feed and bath elephants while learning more about the measures being taken to safe guard these magnificent creatures. Chiang Mai is surrounded by picturesque mountains covered in dense tropical forests and is the gateway to adventure tourism. Ziplining, white water rafting, biking and trekking are just some of the attractions in the Chiang Mai area. There are several ways to get around Chiang Mai. The cheapest way is by songthaew (red bus), that can take you around the city for as little as 30 Baht ($1 US). A more expensive but popular way to get around the city is by TukTuk. Taxi’s and Uber are also readily available. For excursions outside the city Songthaews, TukTuk’s and Taxis can be hired by negotiating with the driver. You will be spoilt for choice with accommodation in the Old City, there are a large range of Hostels, Guest Houses and Hotels to choose from. 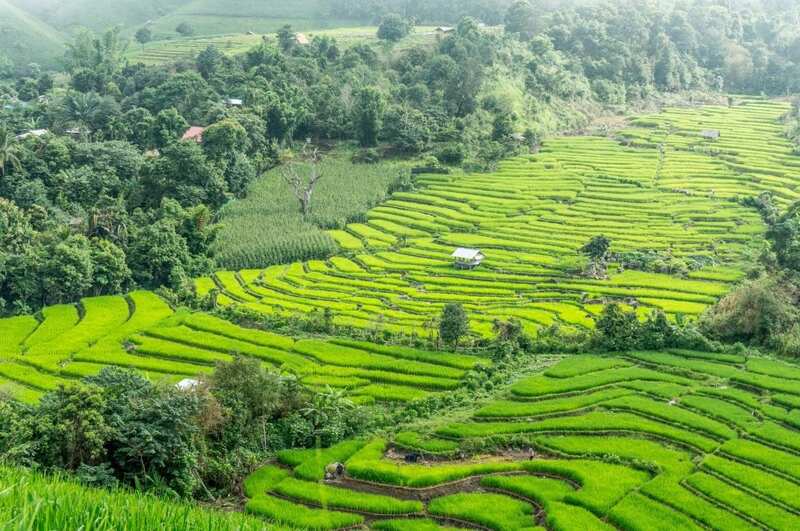 Chiang Mai’s peak season is during its cooler months between November and February and it’s advisable to book well ahead as Chiang Mai’s population increases significantly during these months. If you are visiting the Old City we recommend Rendezvous Guesthouse, a comfortable low budget hotel, that provides a delicious breakfast and friendly helpful staff. The Rendezvous Guesthouse is in a fantastic location, around the corner from the Sunday Walking Street Markets and a short walk to Thaphae Gate. The Hotel is surrounded with shopping, restaurants, coffee shops and bars. You will find Buddhist temples, Thai cooking classes and health spas within a short walk from the hotel. 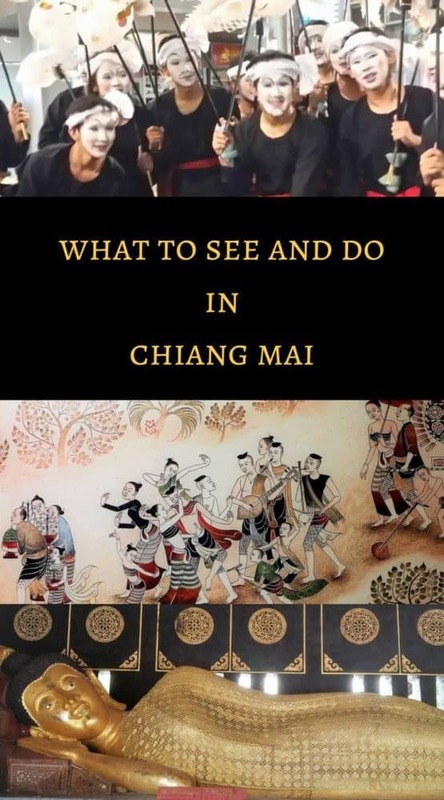 We have only scratched the surface on what to do in the vibrant city of Chiang Mai. We hope we have inspired you to visit this beautiful area of Thailand. This guest post is contributed by Ros and Alan Cuthbertson. Both Australians in their 50s who have quit the conventional 9 to 5 workstyle to travel the world full time. For a large part of the year they are based in the vibrant city of Chiang Mai Thailand. 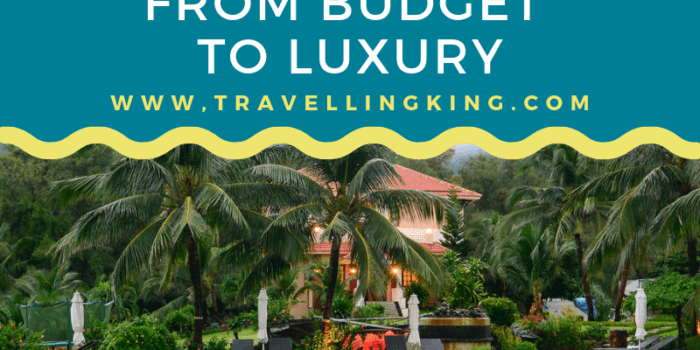 It is from here they regularly travel to nearby Asian countries sourcing content for their travel Blog Frequent Traveller. When not exploring Asia they travel further afield, and have over the course of the last few years travelled to many European destinations as well as North and South America. Hi Stuart yes you must visit Chiang Mai on your next trip. There is so much to see and do here.